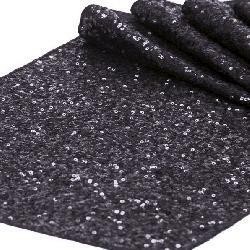 Black sequin runners. 16x96 inches. Perfect runner size for all round and rectangular tables.